The Society understands that this very successful event held in June will not take place this year as a result of the cuts. The Society is writing to Lewisham to request that the event be re-instated for 2012 – an important Jubilee year. Such a shame. One of the best things about living in Blackheath. A really spectacular event. Ticks all the right boxes too – family friendly, encourages healthy lifestyles, etc. It’s something that was unique to the area. Maybe a rogue flash-mob festival should be organised regardless… Get the amazing Flying Squad kite flyers to come of their own accord (I’ve seen them practicing on the heath enough times), tell the organic chicken-burger-man from the farmer’s market to park his van by the side of the heath, and ask the crazy sound-system-on-a-morris-minor to provide the tunes. You can give blood at St Michael’s Church, Pond road this Thursday 19th May. You can book an appointment form the Give Blood website. They have sessions from 13:45-16:30 and 17:30-19:45. It’s a good thing to do, and it gives me an opportunity to shamelessly embed one of the greatest comedies ever made. Part 1, Part 2, Part 3. 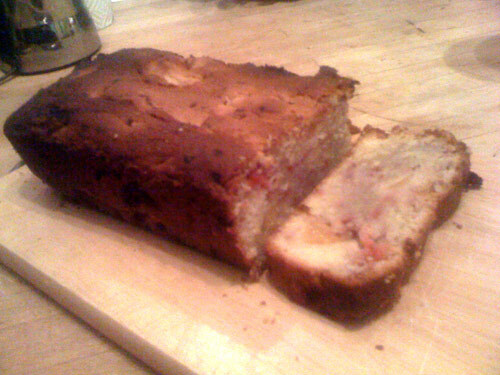 I write about cake on the blog. Mrs Bugle actually cooks the cake! During her night shifts! All made with finest sourced Blackheath ingredients. This is why she is a much better wife than I am a husband. Goes very well with a bit of Laphroaig, especially whilst attempting to moderate 21 comments about lamp posts…. 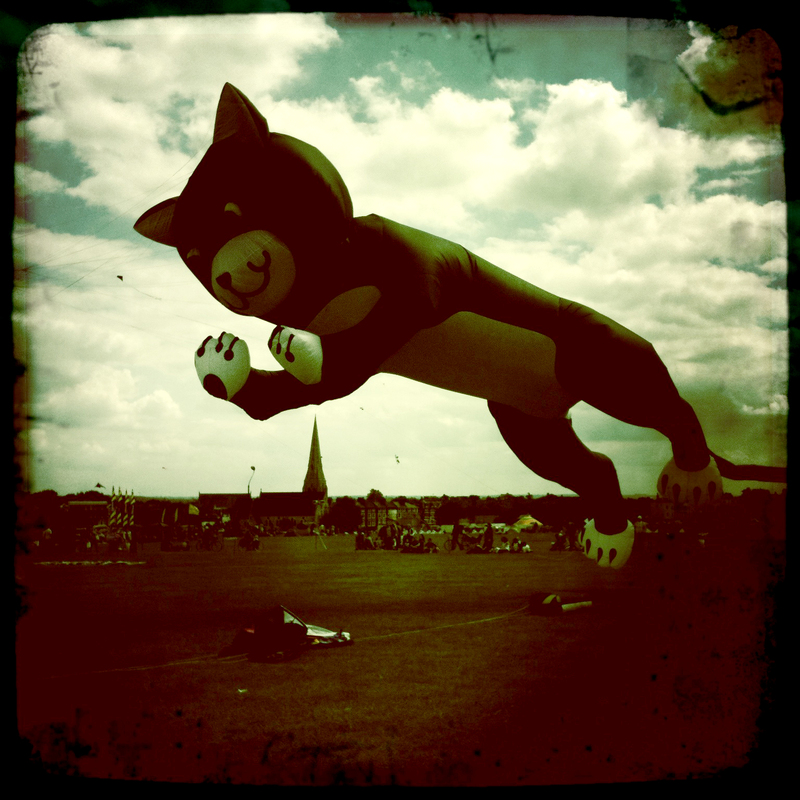 Organisers of the planned OnBlackheath pop festival this summer said on Monday (May 16th) that they will almost certainly now have to abandon it after Bromley Magistrates ordered yet another adjournment in hearing Blackheath Society’s appeal against the event. “We are desperately disappointed,” NIMBY Events Ltd. director Tom Wates said after the Magistrates adjourned the hearing of the Society’s appeal, this time until 29 June. Monday was the 5th day of the hearings. They began on the 3rd of March. But Mr. Wates said on Monday that if the Magistrates did finally throw out the Society’s appeal, NIMBY would be back again with a new bid to stage the open-air two-day festival on the Heath in September 2012. Among the class of stars NIMBY had been looking to feature at the festival this Sept. 10 and 11 year were Adele and Mumford & Sons. NIMBY had been planning on attracting audiences of 25,000 on each of the planned festival’s two days, charging £45 per ticket per day. Mr. Wates and his wife own the Noa Noa dress shop in Blackheath Village. Fellow NIMBY director Alex Wicks said that as a result of the Society’s legal bid to block the festival the three parties involved – NIMBY, the Society and Lewisham Council – had together been involved in spending “a ridiculous amount of money, far too much” on legal fees. Each of the three is represented in court by a barrister. Mr. Wicks said a guesstimate for the total for the three would be £200,000. “It’s a significant amount of money which could have been put to better use than this”. members to dig into their pockets to help fund its legal costs. As a Council, Lewisham’s legal costs are met by local council tax payers. But he said that because of “the enormous amount of evidence” from the hearings that the two Magistrates would have to plough through there could be no final decision in the case until some unspecified time after June 29th. At an earlier hearing, Mr. Wates had indicated continuing uncertainty over the outcome of the Society’s appeal was causing NIMBY major headaches, including booking artists. He said neither artists nor some of the contractors NIMBY wanted to use would enter into discussions until they knew for certain that the festival was going ahead. Recognised as one of the most powerful local groups of its kind in the country, Blackheath Society bills itself as the “Guardians of the Heath.” But local blogs show overwhelming support for OnBlackheath especially among younger people. The Society’s appeal is against a ruling by Lewisham Council’s licensing sub-committee that gave the go-ahead for NIMBY to stage the festival annually this year and in perpetuity, with sale of alcohol. Many thanks to Michelle for sending this in. I’ve always been in two minds about the festival to be honest – never quite decided which side of the fence to land… But it is clear that many people commenting here and on other local blogs (such as the excellent 853blog), feel strongly that the Society may have mis-judged the local mood this time. 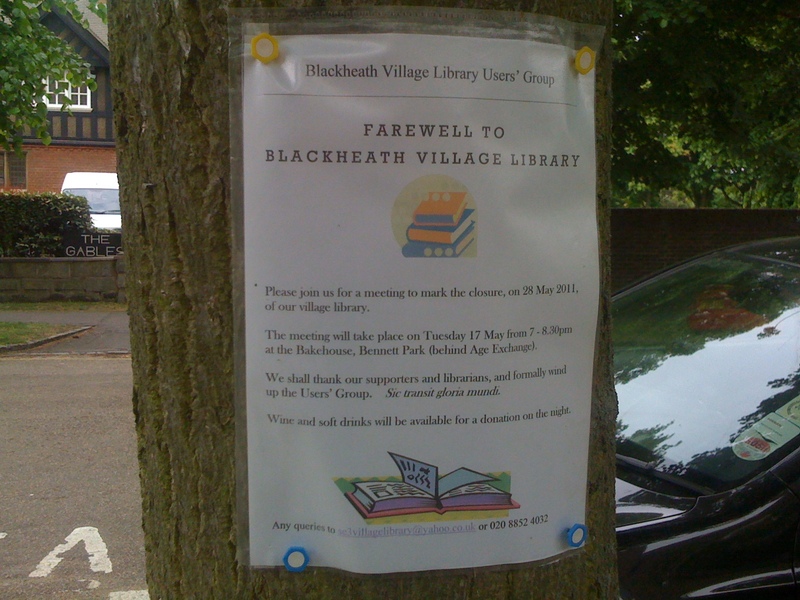 Please join us for a meeting to mark the closure, on May 27th 2011, of our village library. The meeting will take place on Tuesday 17 May from 7-8.30pm at the Bakehouse, Bennett Park, (behind Age Exchange). We shall thank our supporters and librarians, and formally wind up the Users’ Group. Sic transit gloria mundi. Wine and soft drinks will be available for a donation on the night. Any queries to se3villagelibrary (at) yahoo.co.uk or 020 8852 4032. I hope the councillors who agreed to close it have the balls to attend. Farmers Market is heaving with people today. People from the Observer Food Monthly are handing out this free cake recipe (scroll down to “A Cake for Midsummer”) for some reason. And there’s a basket outside Nicholas wine merchants offering “free wood”. Deptford wants more betting shops. Like Blackheath needs more estate agents. Lewisham council recently refused planning permission for “Done Brothers (Cash Betting)” to build another betting shop in Deptford. There’s a lot of history here – check Deptford Dame for details. …there is nothing to suggest the use of the premises as a betting shop would cause harm in terms of anti-social behaviour, crime or disturbance to neighbouring residents and other users of the town centre. This reason for refusal is based on a subjective view of the type of people that use betting shops. There is no evidence that customers visiting betting shops are any more likely to cause harm in terms of anti­social behaviour, crime or disturbance than any other use present along Deptford High Street. Full document is here. Anyway, if you disgree, then email teamp6@pins.gsi.gov.uk quoting reference APP/C5690/A/11/2151228/NWF. If you can find case studies, examples, or good evidence explaining why you think another betting shop would be a bad idea, please add them in the comments below, so that other people can use them in their emails. 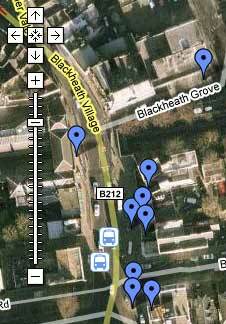 UPDATED: Above is a Google Map, showing all the betting shops in Deptford. Made by Crossfields.